All fingers are pointing out at director Boyapati Srinu over the debacle result of mega power star Ram Charan’s recent outing Vinaya Vidheya Rama. Buyers faced nearly Rs 30 crore losses, which is far less compared to the losses incurred by Balakrishna’s Kathanayakudu distributors (50 Cr). VVR received outright negative talk from critics and audience alike. However, the film recovered almost 70 % of its investment, thanks to Charan’s fans frenzy, sankranthi holiday advantage and Rangasthalam hit effect. On the other hand, Kathanayakudu despite receiving positive talk from reviewers, the film could not impress audience. The reason for only Boyapati becoming the prime target is mega fans didn’t expect the film to have such below par content. 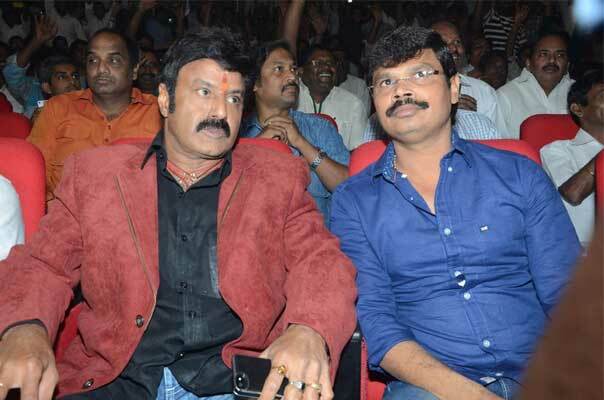 They also asserted that, Boyapati is biased only to Balakrishna and he isn’t taking much care on mega hero films. Above all, Boyapati spent heavy budget on unnecessary episodes and the action episodes were widely slammed. Given that, mega heroes are not keen to work again with Boyapati and even his film with mega star Chiranjeevi is cancelled, the director pins all hopes all hopes on his next with Natasimha Nandamuri Balakrishna. Balakrishna himself will produce the film. However, with the shocks of Kathanayakudu and VVR, he may not grant huge funds for Boyapati who needs to wrap up the movie in limited budget. In fact, Boyapati will bend down to all the resolutions of Balakrishna since he is the only savior for him right now!